System Center Universe 2014 is Ready to Take Off! If you work with System Center or Windows Azure and have plans tomorrow, then it might be a good idea to cancel them and make sure you're tuned into the live stream from Houston, Texas where the annual System Center Universe event kicks off. This is the third year that the team at Catapult Systems have organised this event and each year it just gets better and better. I had the pleasure of presenting at the European version of this last September and have another opportunity to take part again this September, when it rolls back into Switzerland. If you're going to virtually attend the event, then make sure you register your interest here. It'll be a late night tomorrow for those of us watching over this side of the pond (last session won't finish till close to midnight!) however, I'm sure it'll be worth it as I know the Herculean effort Cameron Fuller and the rest of the SCU team have put into this to make sure it flows smoothly. As of yesterday, Update Rollup 1 for System Center 2012 R2 has dropped and is ready for download through the Microsoft Download Center. The update for Service Provider Foundation is expected to release in mid-to-late February 2014. Updated information about this release will be added to this article when it becomes available. System Center 2012 R2 Virtual Machine Manager cannot deploy a new or imported VMWare template. Database operations sometimes fail with "FailedToAcquireLockException." A new virtual machine template from a template that specifies an operating system profile doesn't use credentials from the operating system profile. Virtual machines in VMWare that connect by the using Cisco N1000V dvSwitch are unavailable for management from Virtual Machine Manager. System Center Virtual Machine Manager service crashes if you disable one of the teamed network adapters. The Get-Scstoragearray -host command should return storage arrays that are visible to a host that is using zoning. During the discovery of a network-attached storage (NAS) provider, the credentials that are used do not include a domain name. Some localized strings are not displayed correctly in the UI. A query to find the certificate should match both the subject name and the friendly name because FindBySubjectName is a wildcard search. Virtual Hard Disk (VHD) cannot be mounted on a host because VHD conflicts with other disks because of a stale entry that was left in the dictionary of Virtual Machine Manager memory. Differencing disk based deployment may fail because the parent disk is being refreshed as non-cached. An error occurs when you run the p_DataPurging stored procedure. This error occurs when the query processor runs out of internal resources and cannot produce a query plan. Data warehouse BULK INSERT commands use an unchangeable, default 30-second time-out value that may cause query time-outs. Many 26319 errors are generated when you use the Operator role. This issue causes performance problems. The diagram component does not publish location information in the component state. Renaming a group works correctly on the console. However, the old name of the group appears when you try to override a monitor or scope a view based on group. SCOM synchronization is not supported in the localized versions of Team Foundation Server. An SDK process deadlock causes the Exchange correlation engine to fail. The "Microsoft System Center Advisor monitoring server" reserved group is visible in a computer or group search. Multiple Advisor Connector are discovered for the same physical computer when the computer hosts a cluster. A Dashboard exception occurs if the criteria that are used for a query include an invalid character or keyword. An 0x80070057 error occurs when a session is closed prematurely. This error is caused by a failure during a consistency check. Lots of concurrent threads or calls to Microsoft SQL Server from the Data Protection Manager (DPM) console cause slow SQL Server performance. When this issue occurs, the DPM console runs out of connections to SQL Server and may hang or crash. When you are installing System Center 2012 R2 Update Rollup 1, pay close attention to the installation instructions contained towards the bottom of each products update link. All applicable System Center 2012 R2 products can be automatically updated via the Windows Update mechanism, however, with VMM and SCOM, you'll need to manually run some SQL scripts after the update applies. For SCOM, check out Kevin Holman's Step-by-Step post here to get this Update Rollup installed correctly. Before you go wildly downloading and installing this update, I'd advise you to wait a few days/weeks before deploying it into your production environments and keep an eye out for any possible 'gotcha' posts about issues after installation. 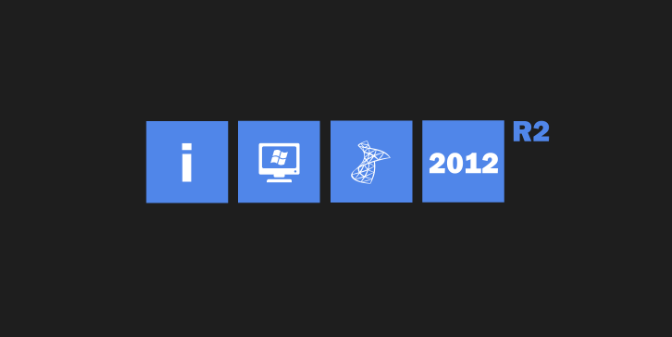 Microsoft has just released four new free whitepapers to help you get to grips with Windows Azure Active Directory. The whitepapers are broken down into an initial overview of Active Directory in the cloud and then ramping up the technical level to give you an understanding of how to leverage multi-factor authentication. 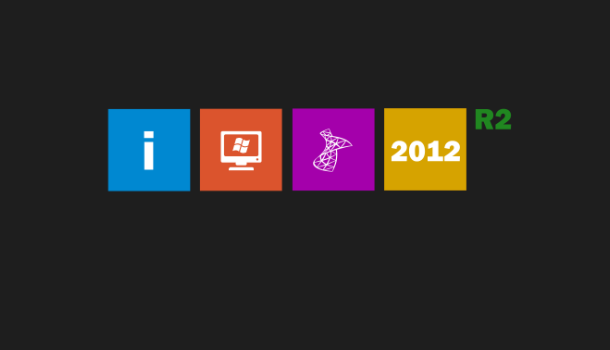 Windows Azure AD is the identity foundation for many Microsoft services like Office 365, Windows Intune, and others. Windows Azure AD is a comprehensive identity and access management cloud solution, utilizing the enterprise-grade quality and proven capabilities of Windows Server AD on-premises. It combines core directory services, advanced identity governance, security and application access management. Active Directory from the on-premises to the cloud whitepaper. Leverage Multi-Factor Authentication with Windows Azure AD whitepaper. Leverage Windows Azure AD for modern Business Applications whitepaper. There's also a zip file with some handy PoweShell scripts that complement the multi-factor authentication pieces. Microsoft has just added nearly 50 new troubleshooting topics for Windows Azure Pack (WAP) and Service Provider Foundation (SPF) onto the TechNet library. 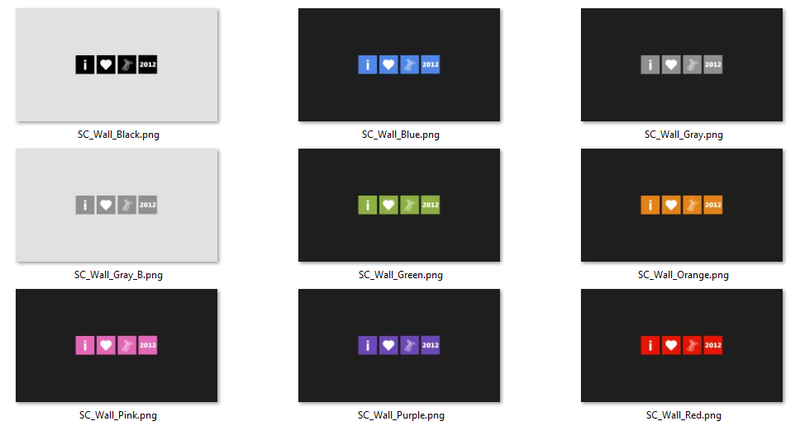 If you're new to Windows Azure Pack or SPF (as most people are! ), and run into problems when deploying either of them, then this is as good a place as any to get started with your troubleshooting. Investigates issues that are related to onboarding tenants, establishing accounts, subscriptions to plans. Also includes issues regarding plan quota levels. Investigates issues that pertain to Service Management Automation and issues that are related to using runbooks, tools, and developer kits for use with Windows Azure Pack. Investigates Contains issues that are related to installation and post installation tasks and networking tasks. Provides an overview for how to use credentials, and investigates issues that are related to authentication, claims-based authentication, tokens, certificates, and Active Directory Federation Services (AD FS). Investigates issues that are related to Service Provider Foundation and its usage with Windows Azure Pack. Investigates issues that pertain to provisioning virtual machine clouds, creating virtual machine roles, importing gallery items, and using Remote Console. Investigates issues that are related to deploying Web Sites, SQL Server, MySQL database, and providers for and features in Windows Azure Pack. When you've managed to read through all this information, then why not take a look at the excellent Windows Azure Pack wiki for everything WAP related here. These wallpapers were created by Cleber Marques and can still be downloaded from here. Yesterday I managed to get some time to participate in a very useful (and free) online webinar that was organised by my buddies over in the UK - Steve Beaumont and Simon Skinner - who run the excellent Cloud OS Community website and user group. The guys managed to get my Irish MVP colleague Damian Flynn to put together a presentation on Microsoft's relatively new Windows Azure Pack (which is designed for on premise private cloud/ IT infrastructure management) and how it compares to the public cloud Windows Azure model. Although I've a pretty good understanding of the Windows Azure Pack, this session has come at a good time for me because I'm currently in the process of working through our own (Ergo's) deployments of it for our datacentre and customer offerings. The session was just over an hour long with some very useful Q & A's throughout and not even a day after the event, the guys have uploaded the video along with all of the links that were mentioned during the session. Just before the Christmas break, it was a nice surprise to see the postman had delivered a package that essentially represented the best part of 12 months of hard work for me - mostly working into the early hours of the morning after the day job finished. This updated Windows Server 2012 book was due to hit the shelves by March/April but when Microsoft announced the upcoming Windows Server 2012 R2 release (codenamed Windows Blue), we just knew we had to re-do our work on the book to keep it consistent and current. What we didn't realise is the sheer volume of extra work that the new R2 release had landed us with and suckers like me who had 8 chapters to work on pretty much had to do a re-write of everything - not to mention labs being rebuilt/upgraded too! Reading through the full book now though, I can see that all the effort was worth it and I want to say a big thanks to all involved in bringing this to market. 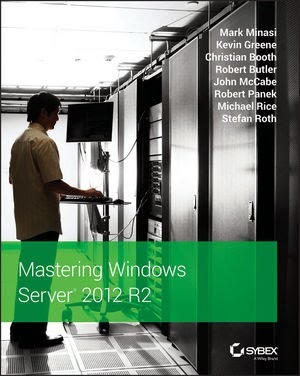 There's a great team of authors and editors behind it and if you want to ramp up on your Windows Server 2012 R2 knowledge, then this is a great place to start.